There’s a new drug in town and River City’s finest are on the case! Yellow Sunshine. More addictive than opium, more potent than cocaine, more dangerous than heroin. It ruins lives, destroys communities, and threatens the very country itself. 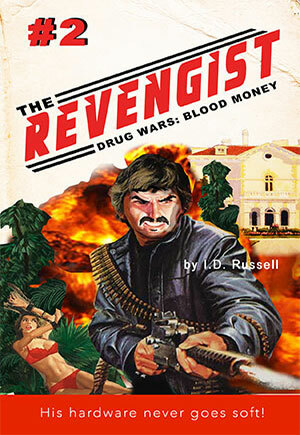 It will take the River City police force everything they have to fight the scourge from street to bloody street. Someone’s dealing the worst drug the city has ever seen. 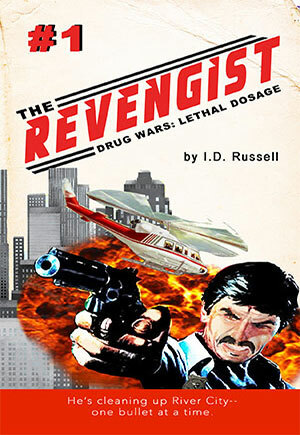 THE REVENGIST is on the case with a brand new partner and a list of broken lives he’s going to avenge. But to find the source of the poison, they’ll have to go so far undercover that they might never make it out alive. THE REVENGIST tops them all. 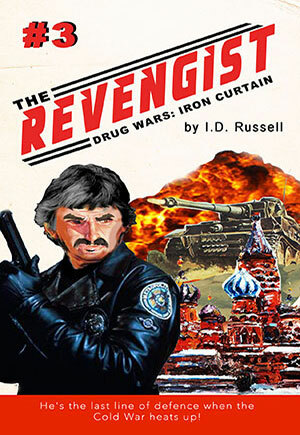 River City’s toughest cop takes on all comers in his never ending quest to eradicate the vicious breed of criminal that preys on a helpless population. THE REVENGIST is a new kind of hero for the ’80s.